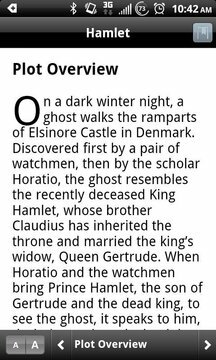 Get today's most popular SparkNotes study guides for literature, Shakespeare, poetry, philosophy, drama and short stories. 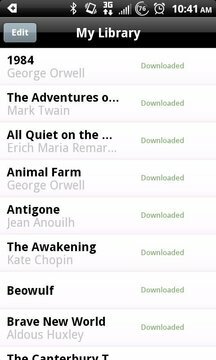 Access online or download to your device for use offline. 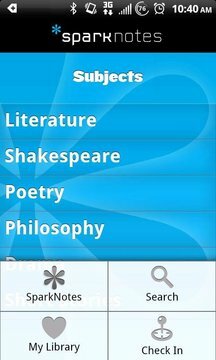 Check-in to easily share your location and start a Sparknotes study group right from your mobile. 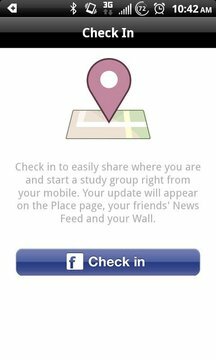 Check-in update will appear on the Place page, your friends' Facebook News Feed and your Wall. 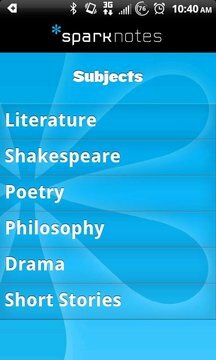 New release providing access to Sparknotes study guides for literature, Shakespeare, poetry, philosophy, drama, short stories and more.